The International Studio & Curatorial Program announces the 2018 ISCP Benefit Auction. Conducted exclusively through Artsy, the auction offers a range of affordable contemporary art works by established, mid-career, and world-renowned artists, including ISCP alumni. Forty-seven international contemporary artists and generous supporters are joining ISCP’s mission by donating all auction proceeds. The funds raised will support the program, and pay to bring artists and curators from areas of the world that do not have significant cultural infrastructural funding. Click here to browse the Benefit Auction powered by Artsy. Bid now to support ISCP’s international contemporary art programs and community of artists and curators. The 2018 limited edition created exclusively for ISCP by Stephanie Syjuco is now sold out. 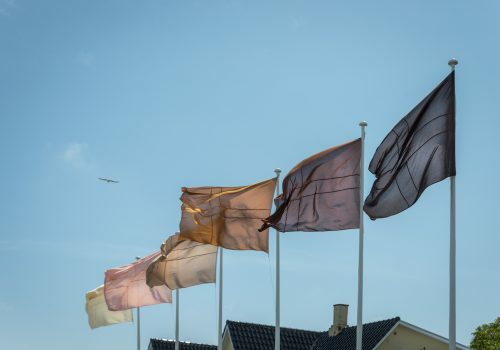 Øystein Aasan*, Osi Audu, Javier Barrios*, Willie Birch, Tonje Bøe Birkeland*, Richard Bosman, Savas Boyraz*, Cody Choi*, Petros Chrisostomou*, James Clar, John Coplans, David Diao, Carolina Falkholt*, Jude Griebel*, Cai Guo-Qiang, Kiluanji Kia Henda*, Mark Hilton*, Takahiro Iwasaki*, Matthew Day Jackson, Leah James, Anna Jermolaewa*, Moussa Kone*, Saskia Janssen* and George Korsmit, Joseph Kosuth, Shawn Kuruneru, Caroline Larsen, Cary Leibowitz, Leung Chi Wo*, Roy Lichtenstein, Andrea Mastrovito*, Elisabeth Molin*, Takashi Murakami, Gerald Nestler*, Emeka Ogboh, Will Penny, Duke Riley, James Siena, Lorna Simpson, Tattfoo Tan, Emma Tapley, Hakan Topal, Paul Wackers, Kara Walker, Entang Wiharso*, Martha Wilson, and Terry Winters. Yng-Ru Chen (Chair), Annie Belz, Elissa Black, Nancy Bulalacao, Patricia Brundage, Cristina Gómez, Karen E. Jones, Karen Karp, Judge Khanna, Joseph Kosuth, Cary Leibowitz, Darragh McConnell, Harineta Rigatos, Austin Tyler Rogers, Lena Saltos, Rirkrit Tiravanija, and Arthur Zegelbone. Generous donations to the auction have been made by the artists as well as Annie Belz; Patricia Brundage; Catharine Clark Gallery, San Francisco; Yng-Ru Chen; Billy Copley; Darren Knight Gallery, Sydney; Ellen de Bruijne PROJECTS, Amsterdam; Dennis Elliott; Jane Lombard Gallery, New York; Karen Karp; Laney Contemporary Fine Art, Savannah, Georgia; John Moore; Morgan Lehman Gallery, New York; Ugochukwu-Smooth C. Nzewi; P.P.O.W. Gallery, New York; Pace Gallery, New York; Pace Prints, New York; RYAN LEE Gallery, New York; Sean Kelly Gallery, New York; Stephanie Syjuco; LuRaye Tate; The Hole, New York; Marjorie Welish; and William N. Copley Estate, New York. ISCP is extremely grateful to Christy Williams Coombs of Sotheby’s, Ilegal Mezcal, James Cohan Gallery and sweetgreen for their support of the auction. 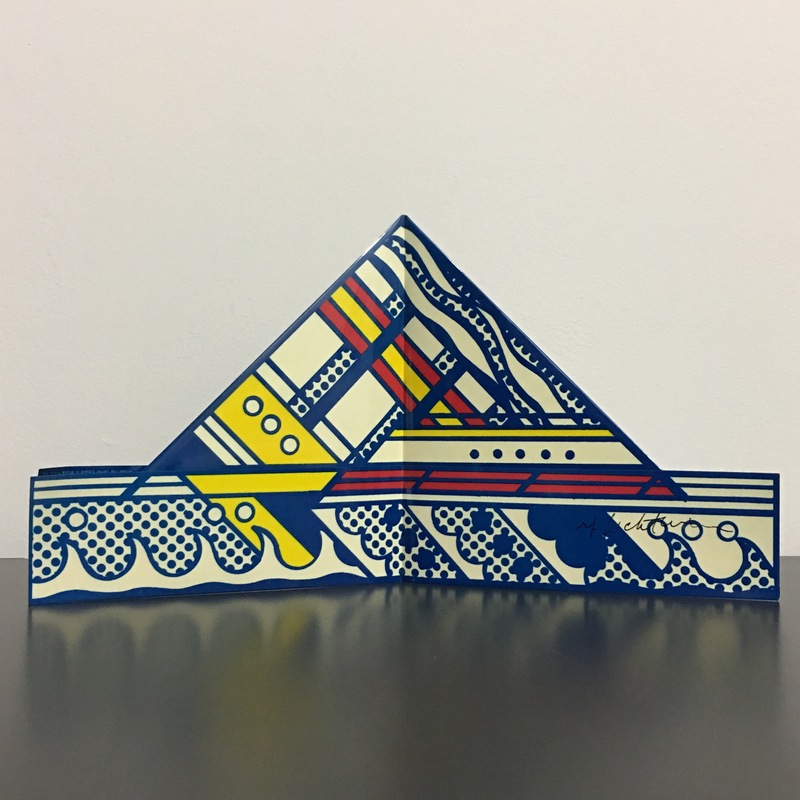 Roy Lichtenstein, Folded Hat, 1968, offset lithograph on plastic sheet , 71/4 × 14 in. (18.41 × 35.56 cm). Courtesy of William N. Copley Estate, New York. Takashi Murakami, Mr. Wink, Cosmos Ball, 2000, plastic, vinyl and mini CD, 101/2 × 73/16 × 73/16 in. (26.67 × 18.29 × 18.29 cm). Courtesy of John Moore. Carolina Falkholt, Untitled, 2018, acrylic marker, liquid ink, rum and banana, 221/4 × 293/4 in. (56.51 × 75.56 cm). Courtesy of the artist. 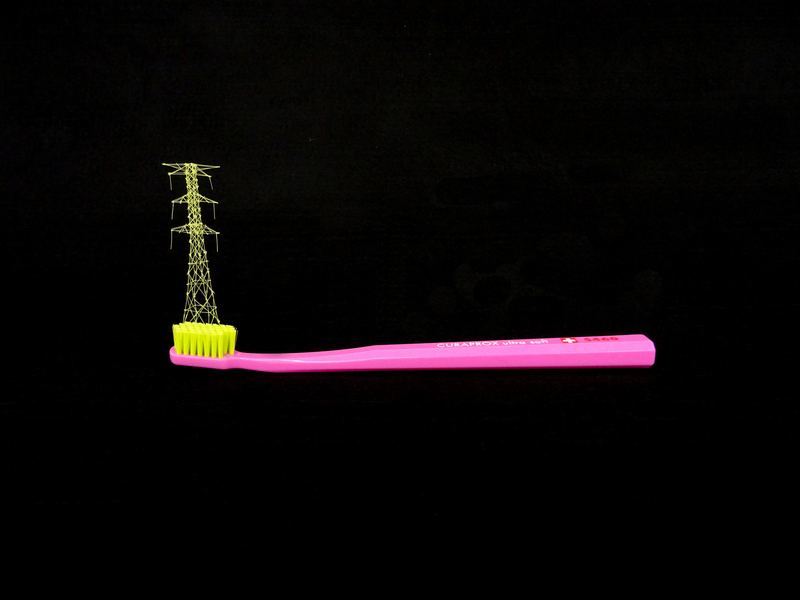 Takahiro Iwasaki, Out of Disorder (brush), 2018, toothbrush, 3 × 7 × 1/2 in. (7.62 × 17.78 × 1.27 cm). Courtesy of the artist. 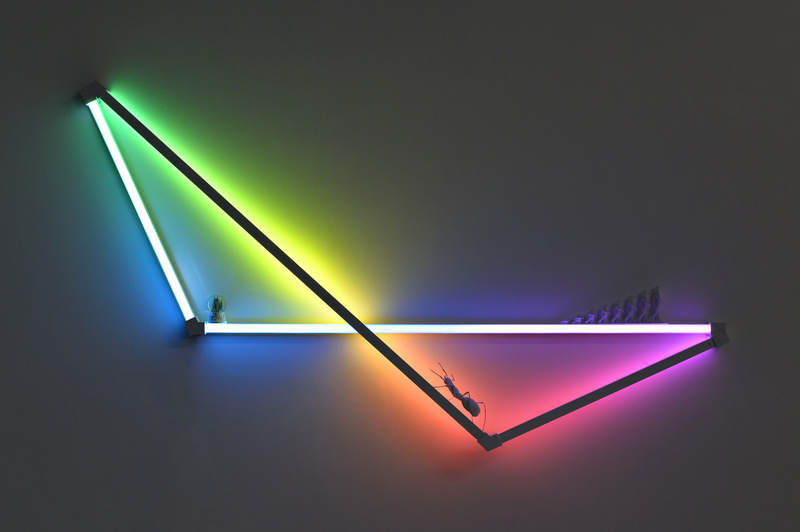 James Clar, Folded Space, 2016, LED lights, filters, snow globe, and 3D printed parts, 34 × 52 × 3 in. (86.36 × 132.08 × 7.62 cm). Courtesy of the artist and Jane Lombard Gallery. This event, held in conjunction with the exhibition The Primary Fact by former ISCP resident Hikaru Fuji, will begin with a screening of Fujii’s video Playing Japanese (2017), followed by a response by Yukie Kamiya, Director, Japan Society Gallery. 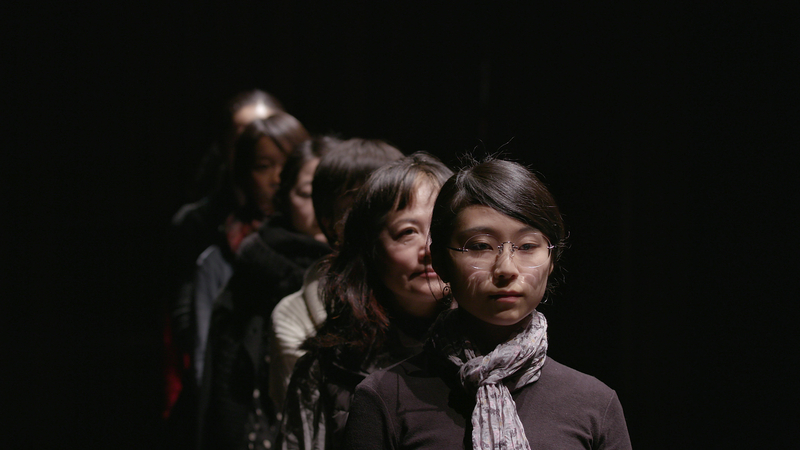 Playing Japanese, for which Hikaru Fujii won the Nissan Art Award in 2017, includes footage from a workshop he orchestrated during which dozens of members of the public were invited to “perform” what it means to be Japanese. During this workshop, the participants also reenacted historical texts from the early twentieth century, written about an imperialist “human exhibit” that took place in Japan in 1903. Ultimately, the work is connected to current Japanese political and social issues linked to depopulation, immigration and discrimination. Yukie Kamiya is Director at Japan Society Gallery, New York. Previously, Kamiya was Chief Curator of Hiroshima City Museum of Contemporary Art, Japan and served as Associate Curator at the New Museum, New York. She has curated exhibitions internationally, and organized monographic exhibitions by artists including Cai Guo-Qiang, Yasumasa Morimura, Yoko Ono, Do Ho Suh and others. She also served for cultural institutions including the Japan Foundation, and Goethe Institute as a guest curator and co-curated the group exhibitions Discordant Harmony: Critical Reflection of Imagination of Asia (2015-2017), Re:Quest Japanese Contemporary Art since the 1970s (2013), and Under Construction: New Dimension of Asian Art (2002-2003). Kamiya received the Academic Prize from the National Museum of Western Art, Tokyo for her curation of Simon Starling: Project for a Masquerade (Hiroshima) in 2011. She is currently working on the Shanghai Biennial 2018 as co-curator. Hikaru Fujii, still from 'Playing Japanese,' 2017. These artists in residence are all part of a two-year program that offers subsidized workspace and professional development for New York City-based artists. 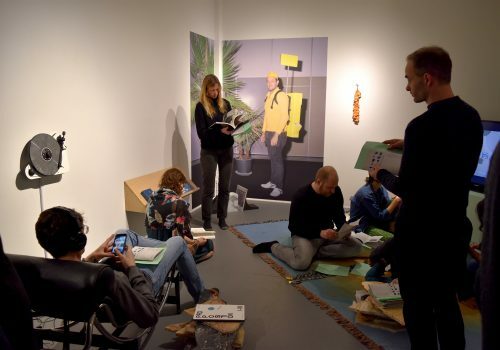 Launched in 2015, Ground Floor at ISCP takes place on the first floor of ISCP in tandem with ISCP’s acclaimed international residency program, forming an integral part of the dynamic, in-house fusion of artists and curators from all over the world. Elaine Byrne (born Ireland) examines overlooked histories, historical texts and artworks as a platform to mobilize history relating to current political and social concerns. She has had several solo shows including La Diritta Via, Montoro12 Gallery, Rome and Ruam, Kevin Kavanagh Gallery, Dublin. Group shows include The Ocean After Nature, The Hugh Lane Municipal Gallery, Dublin and Omega Workshop, Elizabeth Foundation, New York. She has won several prizes including the 8th Arte Laguna Prize and she is represented by the Kevin Kavanagh Gallery in Dublin. Danilo Correale (born Naples) is an artist and researcher who analyzes aspects of human life, such as labor-leisure and sleep. His work has been presented in group exhibitions including the Istanbul Design Biennial, Riga Biennial and Somatechnic, Museion, Bolzano. Recent solo shows include At Work’s End, Art in General, New York; Tales of Exhaustion, La Loge, Brussels; and The Missing Hour. Rhythms and Algorithms, Raucci/Santamaria, Naples. Simone Couto (born Brazil) is an interdisciplinary artist. Her private and collective practices explore the relationship between place and identity both in natural and urban settings. Solo and group exhibitions include Bio Art Seoul, Gwacheon National Science Museum, Seoul; When All Things Evaporate, We’ll Talk About Minerals, Pioneer Works, New York; Current Practice, Invisible Dog Art Center, New York; and Frequency Response, Electronic Arts Intermix, New York. Alexis Dahan (born France) is an artist and writer who has lived in New York since 2005. 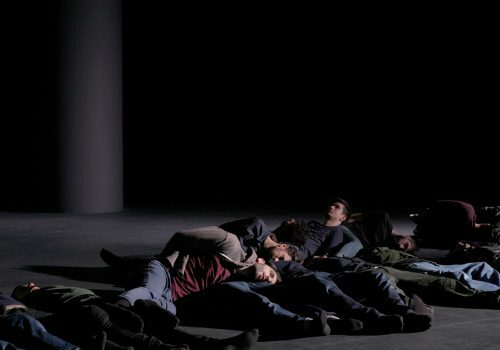 Dahan has had several solo shows in the United States and Europe, including a commission by the Art Production Fund and an intervention with the New York City Fire Department. Furen Dai (born China) focuses largely on the economy of the culture industry. Dai’s hybrid art practice utilizes video, sound, sculpture, painting and collaboration. 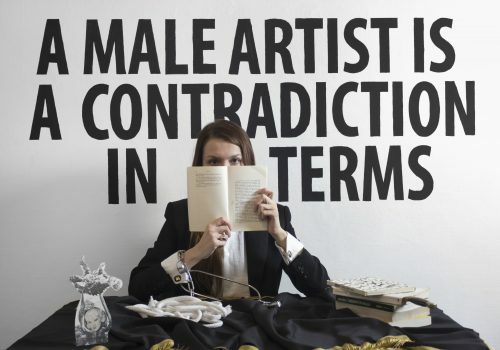 She has exhibited her work at the 13th Athens Digital Arts Festival; International Video Art Festival Now&After, Moscow; and Edinburgh Artists’ Moving Image Festival, Scotland. 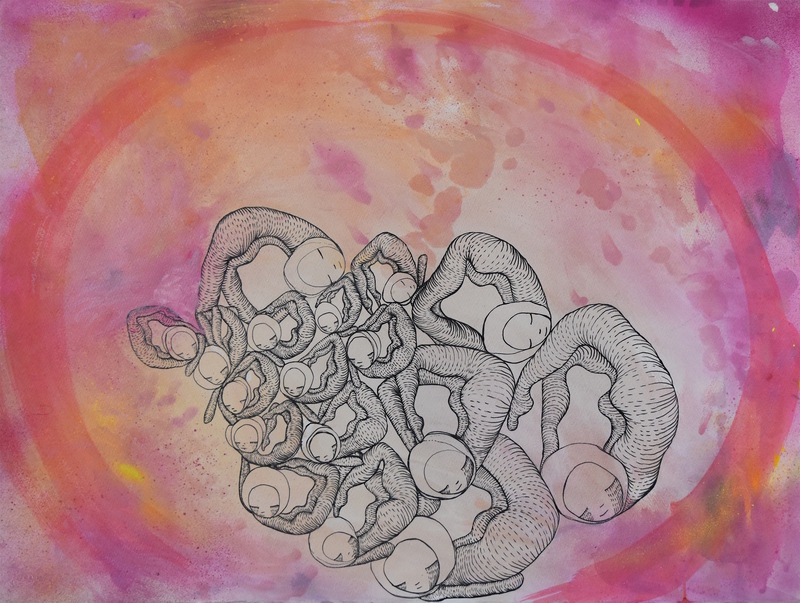 Jude Griebel (born Canada) has had exhibitions at Future Station: The 2015 Alberta Biennial of Contemporary Art; International Museum of Surgical Science, Chicago; Esker Foundation, Calgary; Redpath Museum, Montreal; Galerie Johannes Sturm, Nuremberg; and The Spinnerei Archiv Massiv, Leipzig. His public sculpture Plastic Ghost was mounted in the city center of Jyväskylä, Finland. Griebel’s work is held in collections such as the Arsenal, Canada; the Colart Contemporary Canadian Art Collection and the Frans Masereel Centrum, Belgium. Joshua Liebowitz (born United States) is an artist working with research and assemblage methods. His work has been shown at CAFA International Gallery, Beijing; Transmitter Gallery; Pioneer Works; The Boiler|Pierogi; and NARS Foundation, all New York. Liebowitz has received commissions from The Poetry Project at St. Mark’s Church and Flux Factory. Martha Skou (born Denmark) is an interdisciplinary artist who moves between audible and visual fields of art practice. Both analytical and experimental, her work toys with opposites in color, shape and sound. She has exhibited her work at the Museum of Arts and Design, New York; Telfair Museums, Savannah; and Pioneer Works, New York. Raul Valverde (born Spain) produces projects that are context-specific and respond to the temporal and spatial conditions in which they are displayed. His work has been exhibited at the #1 Cartagena Biennial; Bronx Calling: The Second AIM Biennial, New York; La Casa Encendida, Madrid; NURTUREart, New York; Tabacalera, Madrid; Artium Museum, Vitoria-Gasteiz; Anthology Film Archives, New York; and Royal College of Art, London. He is a recipient of a Fulbright Scholarship. This exhibition is supported by Yoko Ono, Alice and Lawrence Weiner, New York City Department of Cultural Affairs, in partnership with the City Council, New York City Council District 34, The Jacques and Natasha Gelman Foundation, Danna and Ed Ruscha, and the New York State Council on the Arts with the support of Governor Andrew M. Cuomo and the New York State Legislature. 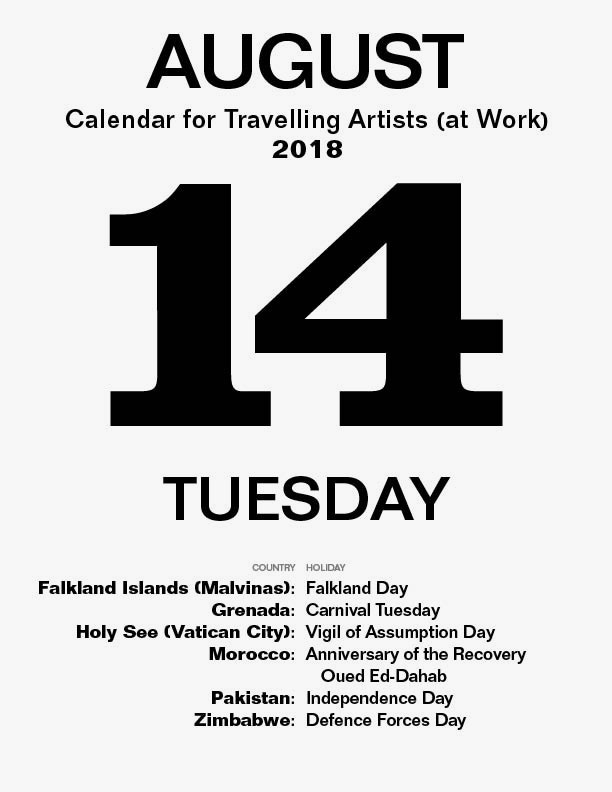 Raul Valverde in collaboration with Muntadas, Calendar for Travelling Artists (at Work), 2018, 11 × 81/2 in. (27.94 × 21.59 cm). Courtesy of the artist.